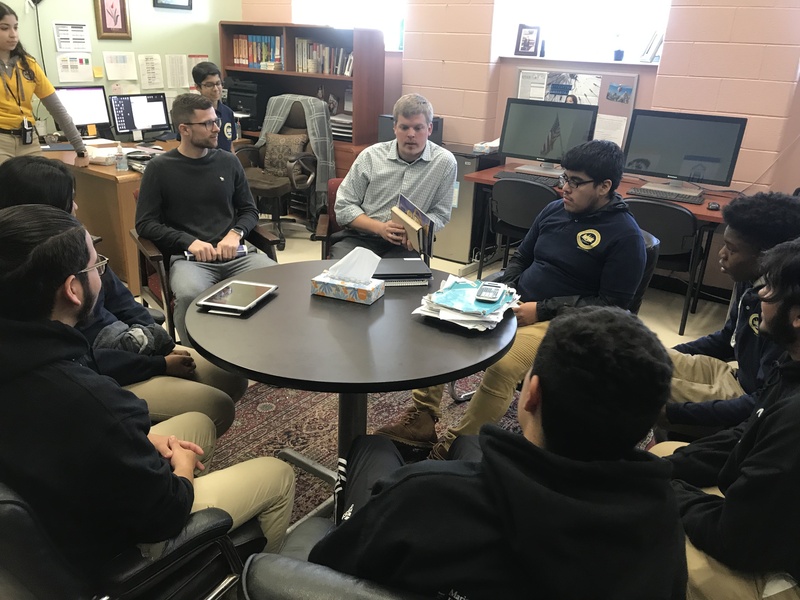 On December 10, 2018, Jon Carlson, the Product Manager for GF Machining Solutions, visited CMSA and met with a group of seniors. In response to Future Institute’s partnership with the ICATT Apprenticeship Program, Mr. Carlson wanted to tour one of the high schools and meet some students that our organization supports. Mr. Steven Pawlowicz from ICATT Apprenticeship Program was also in attendance. Learn more about the ICATT Apprenticeship Program and its partnership with Future Institute on this webpage.